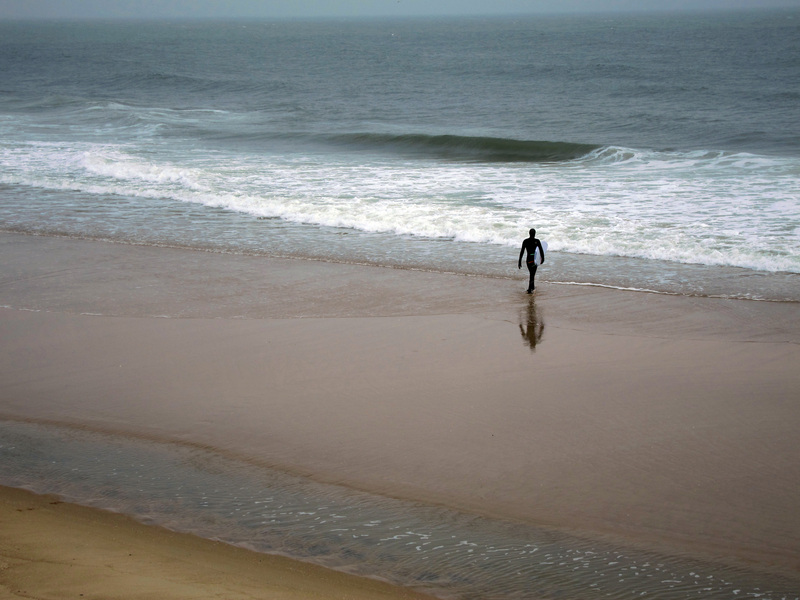 It was my first visit to the Atlantic Ocean. It’s a long trip to visit any ocean from my Indiana home, but the Atlantic is far closer than the Pacific. And since we were most of the way to the Atlantic already on our Washington, DC, visit, we decided to spend one day at the beach. 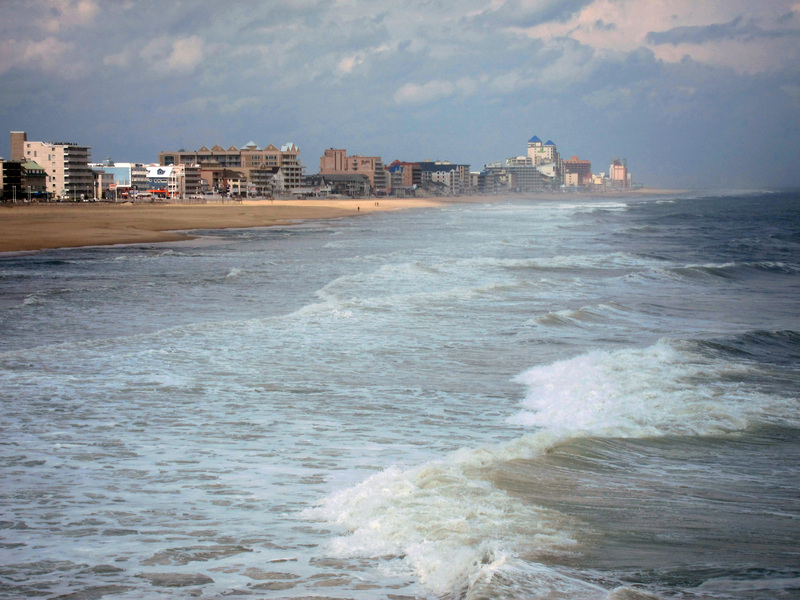 Who knew Maryland is so wide: it took 2½ hours to drive to the beach at Ocean City! Fortunately it was an entirely pleasant drive, US 50 almost all the way. The day was chilly and the wind barreled in off the ocean. Consequently, few people visited the beach with us. That was just fine with us. The winds were strongest on the pier, from which I took this photo. It chilled the bones in a hurry. I didn’t stay up there for long, as I was wearing only a windbreaker over my pullover! 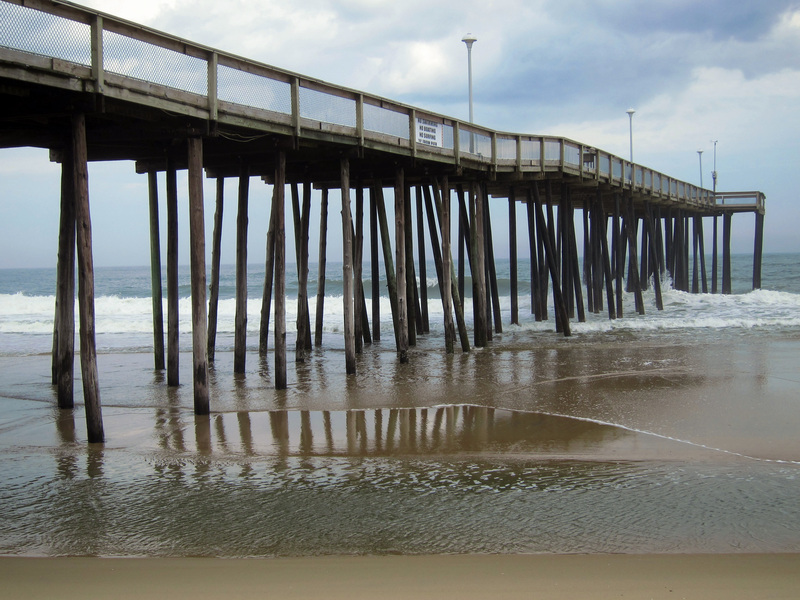 In Ocean City, to get to the beach, you have to cross the boardwalk. End to end, it’s top-notch tourist-trap kitsch. 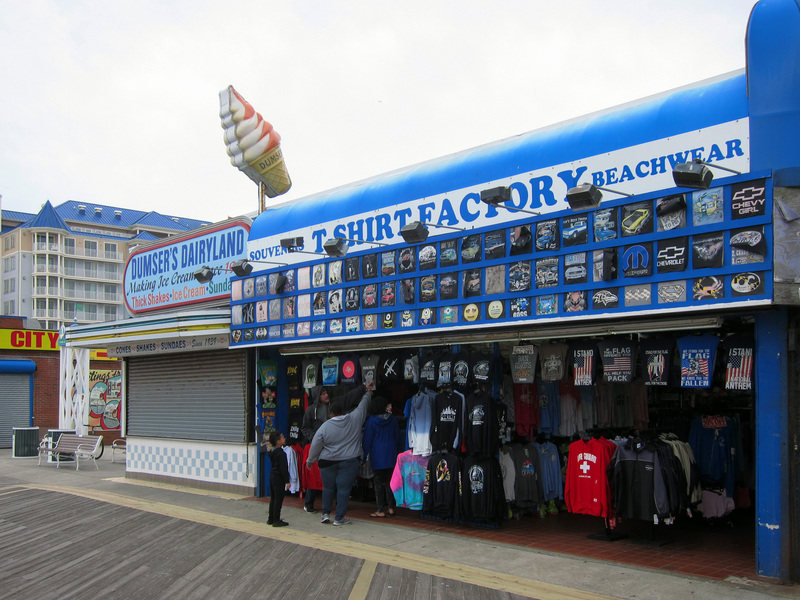 But since the season hadn’t begun, most of the stores and attractions were closed. 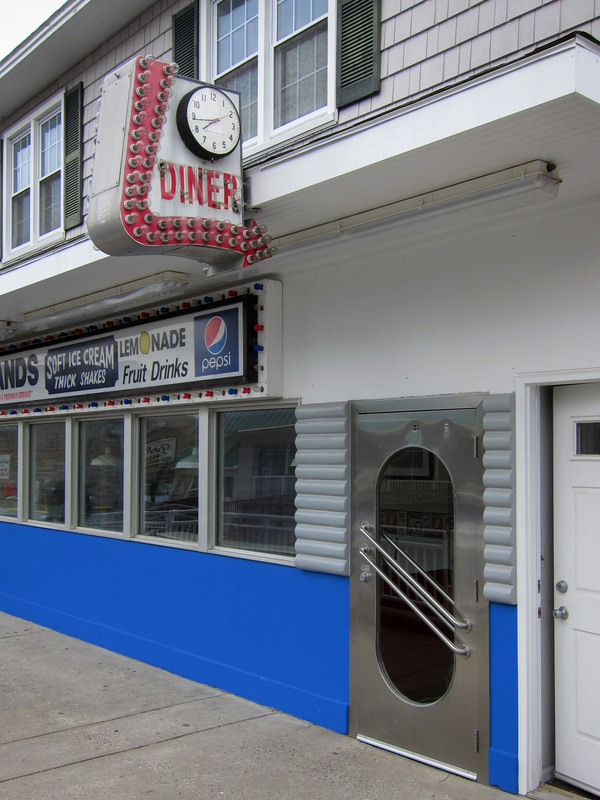 You could hardly get a bite to eat on the boardwalk this early-April day. 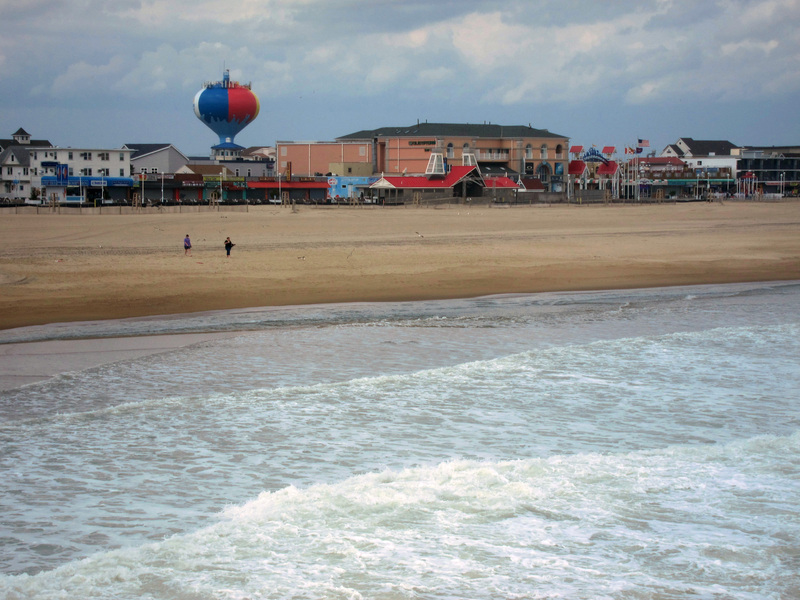 The boardwalk wasn’t devoid of people. These youngsters were having fun. 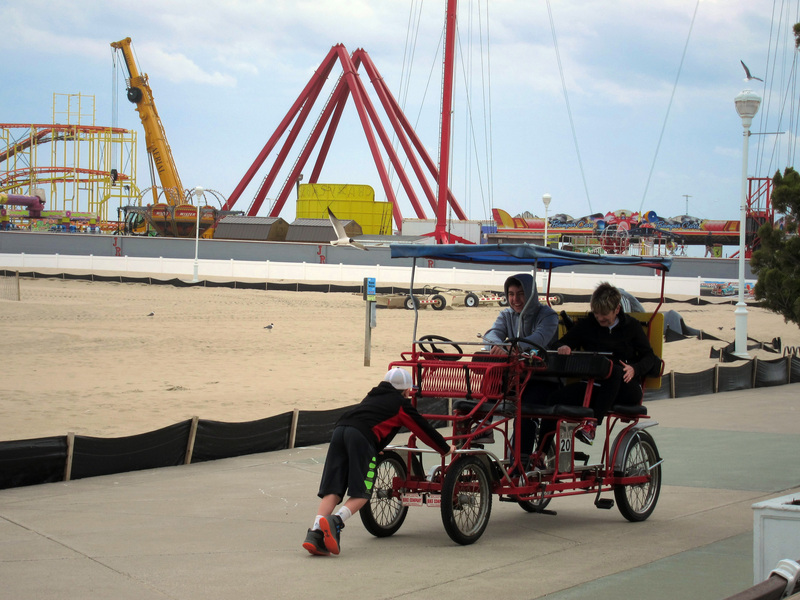 The kid out front was pushing the cart backwards down the boardwalk. We left the beach and boardwalk in search of lunch. After we ate we drove down the coast a bit to see a natural beach where we encountered some wild ponies. I’ll write more about that visit in a future post. You actually dodged a bullet, being pre-Memorial day! When I lived in DC, people used to rent cottages and houses by the beach, and have their friends drive and meet them. I can remember taking 4 or 5 hours some times, and stories of it taking over 6, from DC to Rehoboth beach! And yeah, Maryland is weirdly wide there, and also falt as a pancake. When you’re driving across it, it seems like it was just set on top of the ocean, and that if the water rises a foot, it’s going to fill in the whole area between the Atlantic and the Chesapeake! I can imagine that US 50 gets choked with traffic in season. The older I get the less I like crowds. And highways crawling along at 20 or 30 mph. One of many advantages living on our little island is you’re never further than a couple of hours drive from a beach! Our nearest is less than 30 mins away, and whilst I personally prefer trees to the sea, I do visit regularly over the year. Out here in the vast midwest, you come upon an occasional lake, but otherwise it’s land as far as the eye can see. In the part of it where I live, you can see a lot of that land, because it’s mighty flat here. You must notice a lot of difference in how far you can see, depending on how clear a day it is (or isn’t)? Living in the city and now the suburbs, there are lots of buildings in the way. In my old house, which was a single story, I used to get up on the roof to clean out the gutters. I could see for miles up there. My current house is two stories and there aren’t any mature trees, so I can’t imagine getting up there to scout the view. But my back yard offers a mostly unencumbered view and the sunsets are pretty spectacular. Did you go to Chincoteague, then? 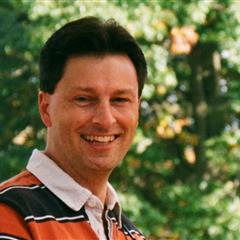 I’ve had my eye on it for awhile; looking forward to your post! Just down to Assateague as it was closest by. Chincoteague would have meant a longer drive, down into Virginia. Assateague is a good wild beach. We did see some of the wild ponies calmly grazing. It was easily our best day of the trip. I’d love to see both. Glad you had a great day. No worries my man! I’ve had four cups and I’m still not fully in the game so I feel you. I shared that one first hoping you’d see it, because I was trying to channel your style as I shot that fellow in the surf. That looks cold and windy. My first visit to the Atlantic was in 1972, Sheet Harbour NS. Thank you for the tour! It looks like a lovely place, especially with so few people. I always visit places on weekdays to avoid the huge crowds here in Korea. 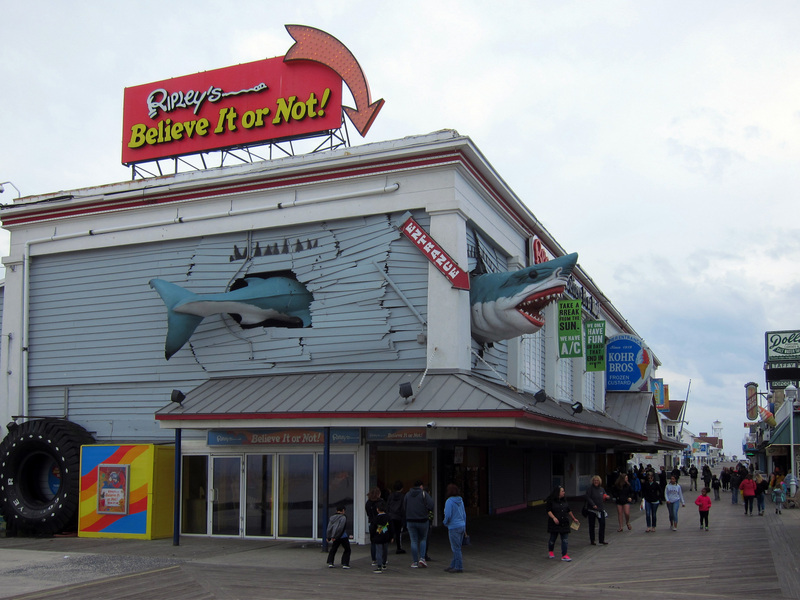 I like the Ripley’s shark through the building. I remember the show with Jack Palance from long ago. Believe it . . . or not. Did you bring a film camera with you? The older I get the less I like crowds. I left my film gear at home this trip. I traveled light with my Canon S95 in my pocket. It’s such a good camera. 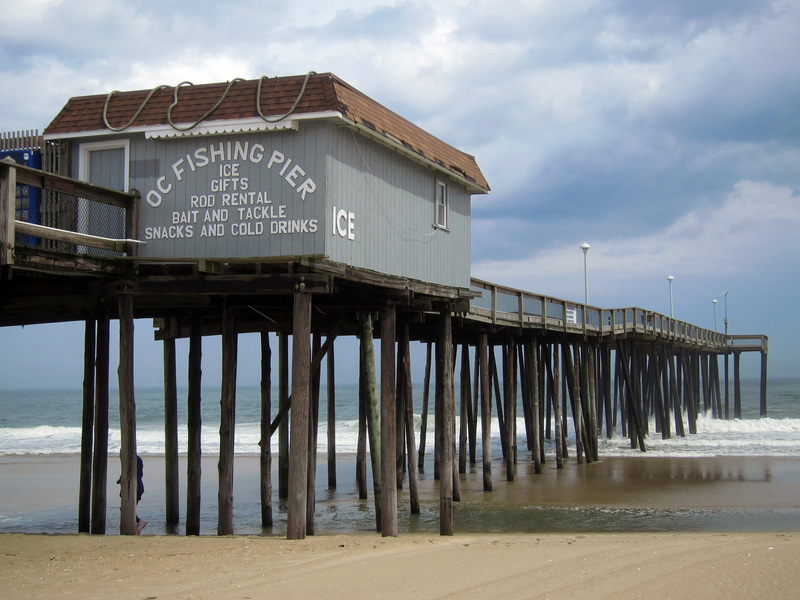 I love these photos which is funny because I do not like Ocean City Maryland. Even as a kid, it was too touristy and in the summer, packed. Plus in the summer it would take forever to get there. Also, it is interesting just how wide Maryland is, it’s a bit unexpected. You’re the second to comment how long it can take to get to the ocean in Maryland “in season.” Now I’m doubly glad we went off season!